There are an untold number of consequences that come along with being found guilty of a criminal offense in the court of law. Imagine living forever branded as a criminal as a result of having subpar legal representation, or being found guilty of crime in Houston; everything in your life could change. There are a number of good people who were branded criminals by our criminal justice system that probably shouldn’t have been. Its a fact of life. A number of these same people deserve the punishment they’ve been sentenced to, but don’t they deserve forgiveness? In some of instances in which a person who probably shouldn’t find themselves with a criminal record ends up with one, is as a result of intimidation within the criminal justice system in combination with a lack of “sufficient” legal counsel. This unfortunate circumstance alone is why the legal team of the Law Offices of Tad Nelson & Associates strongly advocate the presence of legal representation anytime a defendant has an encounter with the criminal justice system, police, and prosecutors. Especially during police interrogations related to murder cases. Its easy to be intimidated into pleading guilty to a crime you didn’t commit for a number of reasons which we’ve listed below. To get the situation over with. To get out of jail. Lack of knowledge about the legal system. Disregard for potential damages to criminal history. Harassment or intimidation by law enforcement. Harassment or intimidation by the guilty party. Think of the number of false confessions, and false convictions in the news lately. If you wonder how a person can plead guilty to a crime they didn’t commit try going through sleep deprivation for 40+ hours and having police detectives rotate, take naps, and take turns interrogating you. Believe it or not these illegal tactics happen all the time when the defendant’s rights aren’t being protected by a competent criminal justice lawyer hell bent on defending their client. In cases in which the defendant is facing lesser criminal charges (like misdemeanors for example), and are under pressure to resolve the matter, people tend to accept plea deals that would otherwise be unthinkable to anyone who places an importance on their future, their reputation, their criminal background, that have a criminal defense lawyer in their corner. Why Avoid A Criminal History? There are enumerable reasons why smart money would avoid any possibility of the creation of a criminal background of any sort. We’ve listed (below) a few reasons why any criminal allegation a person may be subject to should be fought hand, tooth, and nail, with the intent of avoiding criminal records being created in your good name. Anytime you have an encounter with law enforcement you’ll be treated as a second class citizen, or even worse, a dangerous criminal. Some employers won’t tolerate criminals in the workplace, and its usually the best paying jobs that take this stance. Think “jobs that require you to enter a customer’s home or handle cash”. Career options will be limited as a result of a criminal record. Forget about working for most Fortune 500 companies, financial institutions, and most other establishments if you have a criminal history following you around. While this doesn’t mean that finding employment will be extremely difficult, it does mean that your options will be limited when choosing a career field. Believe it or not, some cities, towns, villages, and neighborhoods have strict rules on who can move in. In some cases, people with criminal histories aren’t allowed to live in some areas. 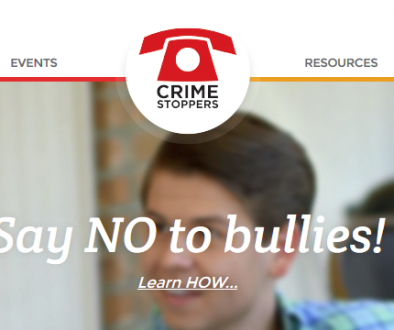 There area a number of other reasons why avoiding a criminal history is the smart way to go. If you’re ever in trouble with the law for any reason, Houston felony/misdemeanor defense lawyer Tad Nelson is ready to defend your legal rights. Click here for information related to criminal record sealing. In Houston, there a number of top criminal defense lawyers available to the public, but few criminal justice attorneys in Houston possess the skill, passion, and impeccable credentials held by both attorneys Tad Nelson & Amber Spurlock. 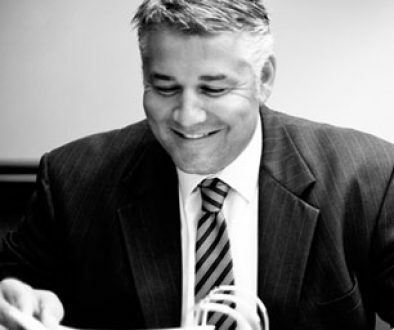 Attorney Tad Nelson is Board Certified in “criminal law” by the Texas Board of Legal Specialization (TBLS) affording his clients the luxury of comfort in knowing their legal representation is in the hands one of the best lawyers in the field. To become Board Certified by the TBLS (in any area of law) requires a series of rigorous tests that must be performed, and passed. 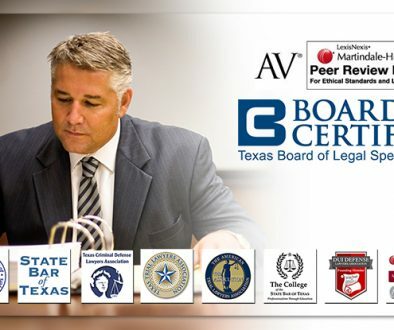 Also required as a condition for Board Certification are a predetermined amount of recommendations from judges and other Board Certified Texas criminal defense lawyers who actively practice law. Less than 10% of Texas lawyers are Board Certified in their field. If you’re arrested for a criminal offense in Houston, or anywhere else in Texas, contact the Law Offices of Tad Nelson & Associates for help by calling 713-659-0909.